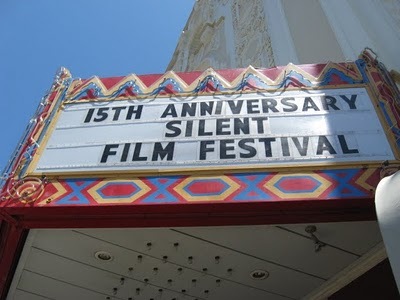 The 15th Annual San Francisco Silent Film Festival took place from July 15-18th, 2010 and it was just as enjoyable as ever. This year the festival expanded to four days, and while I was a little worried that spending so much time in a theater would wear me out, by the time it was all over I was looking forward to next year's event. 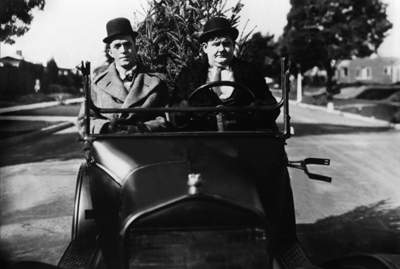 Over the course of the festival 12 features were screened in addition to a good number of shorts (which were shown before each movie) and three presentations by film archivists and silent film musicians. Held in the Castro Theater, an old movie palace built in 1922 and has a wonderful Wurlitzer pipe organ dating from 1925, all of the films feature live music by an amazing array of talented musicians, which is how they were originally seen. The auditorium was full (with at least one feature selling out the 1600 seat theater) and the audience was great. Seeing silent films this way is an incredible experience that significantly rivals watching them at home, even with a top-notch home theater set up. So how is this longer cut? Very good. The new 16mm footage is easily discerned from the earlier restoration (it's scratched and the 16mm reduction was slightly cropped on the left and top of the frame) and it makes the film flow better. Some of the scenes are just elongated for a few moments, but there are entire scenes that were previously excised and while they don't change the meaning or tone of the film, they do give it more internal consistency. The movie makes a bit more sense now, and why some people show up in certain locations are finally revealed. Needless to say, the movie is a masterpiece, and this version is the best yet. 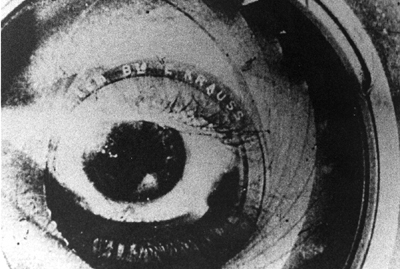 Another high point was the screening of Dziga Vertov's Man with a Movie Camera. 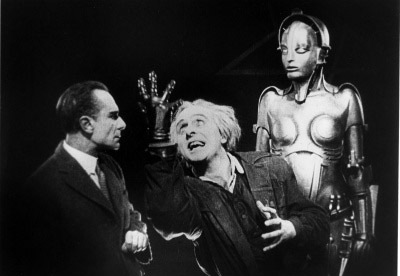 It was great seeing this influential Russian film on the big screen, and the musical accompaniment by the Alloy Orchestra fit the experimental nature of the film. Alloy consists of a pair of percussionists who play various instrument and items and a keyboardist. While I didn't enjoy all of their performance to Metropolis (and I freely admit I was in the minority. Nearly everyone I talked to loved their work. The synthesized disco-like hand claps while Maria was dancing to seduce the industry leaders drove me up a wall though) their style perfectly fit the avant-garde style of the film and added a lot to the viewing experience. I've been going to this film festival for 7 years now, and every year there's a new discovery, a film I'd never heard of that turns out to be excellent. This year it was the festival's closing program, L'Heureuse Mort. I had never heard of the movie, the stars, or the director, so I was a little surprised that they scheduled such an unknown movie to wrap up the festival. Once I saw it however, I realized they made the right decision and ended the festival on a high note. L'Heureuse Mort is a French farce (a genre I usually don't appreciate) that works very well. Nicolas Rimsky wrote the script and stars as Théodore Larue, a playwright who is absolutely horrible. When his latest offering closes after one night with the patrons demanding their money back, Larue and his wife take a trip to the coast to recover from the devastating blow. There Théodore runs into an old school friend who offers to take him on a voyage on his yacht. A storm arises and Théodore falls overboard and is presumed dead. When news of his demise hits the papers, they tout Larue as a wonderful dramatist and a national treasure who died much too young. He's not dead of course. Théodore washed up on shore and it took weeks for him to hitchhike back to Paris and when he arrives he finds that everyone loves his memory. He's finally getting the respect he never received when he was 'alive', so he decides to stay dead. Informing his wife, he continues to write plays which she sells for outrageous amounts of money as works that he completed just before he died. Naturally the scheme unravels in the most hilarious way possible. It was a great unknown film that had the audience laughing through most of the run time. There were a lot of other great films shown at the festival: Pabst's Diary of a Lost Girl with Louise Brooks (which is much, much better on the big screen), Laurel and Hardy's Big Business, my favorite short of all time, where the boys are door-to-door Christmas tree salesman, and John Ford's early epic The Iron Horse, just to name a few. 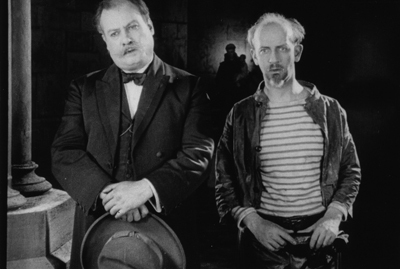 The San Francisco Silent Film Festival is truly a fantastic weekend for fans of early cinema. I travel clear across the country (on my own dime no less) every year and the expense is well worth it. There's nothing like seeing beautiful prints of classic silent films with live music on a huge screen in a magnificent movie palace. It's a unique event that I look forward to every year.